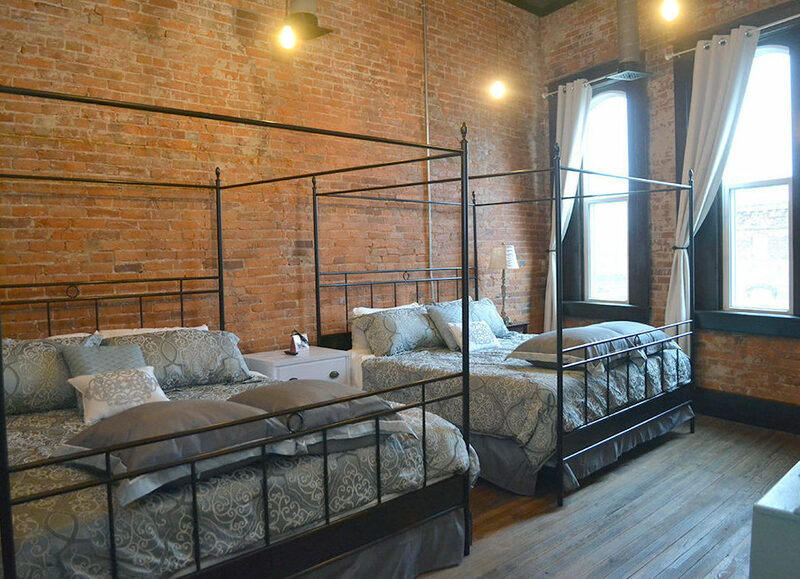 Eighteen-Ninety Sleepover is a locally owned boutique hotel located in downtown Casey, Illinois. 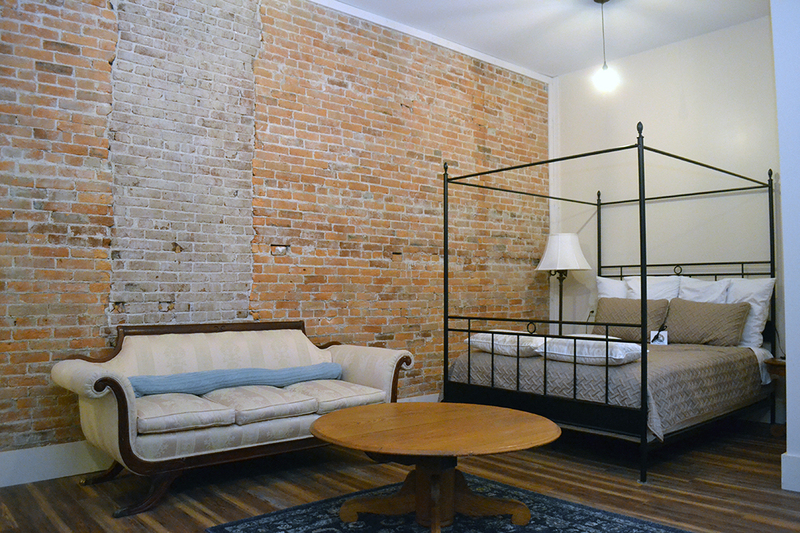 While the spacious rooms show many characteristics of the 1890s, they are also equipped with several modern amenities. Your credit card will not be charged until time of stay. 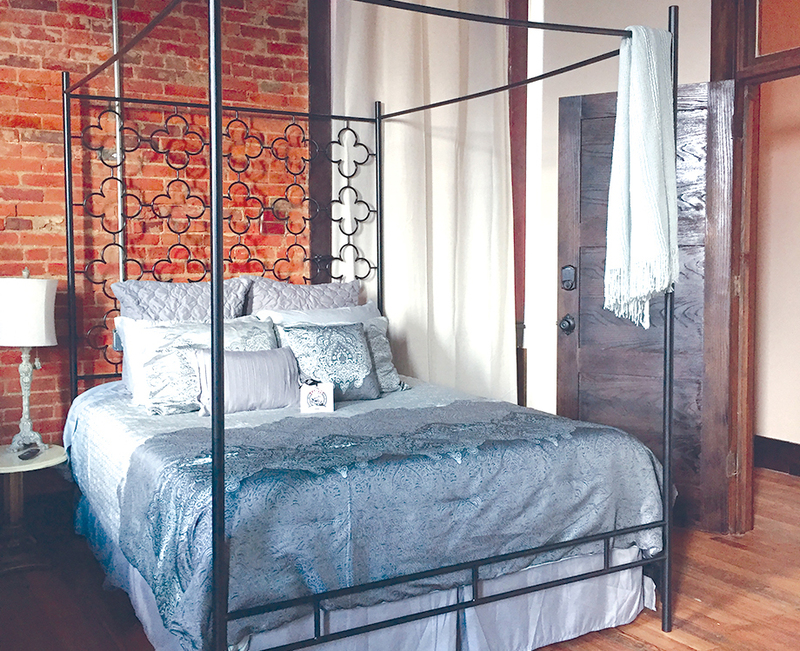 "This is a great addition to Casey. 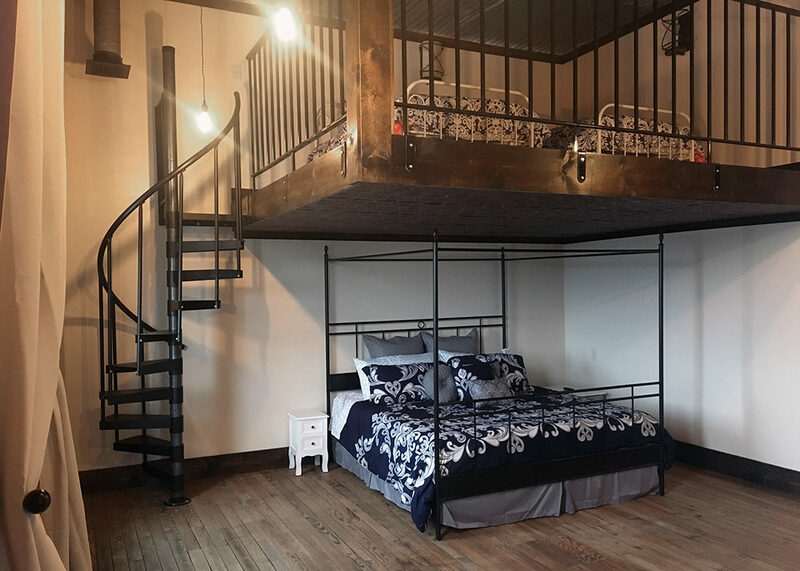 The room was spacious, clean, and cozy. Kimberlee was accommodating and friendly. Loved the little touches like a box of candy from the local candy store and bottles of water in the fridge. See you in September." 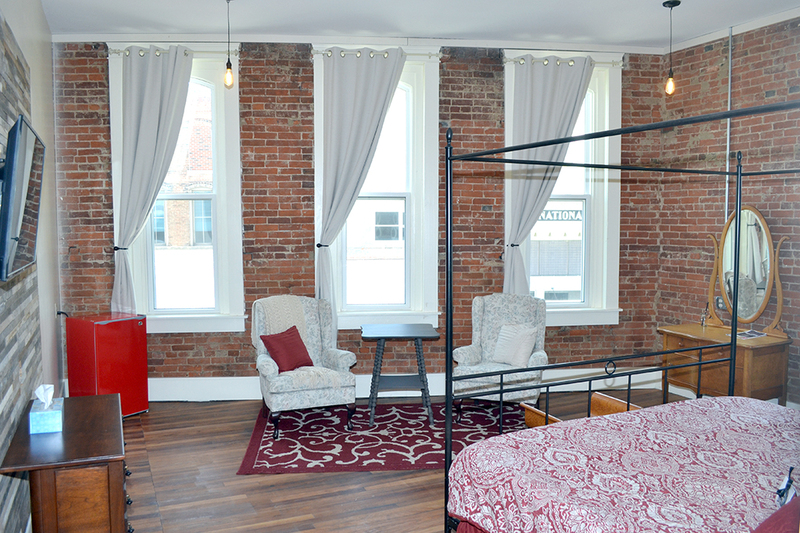 "Place is beautiful, did a great job mixing original elements of the building with modern comforts. 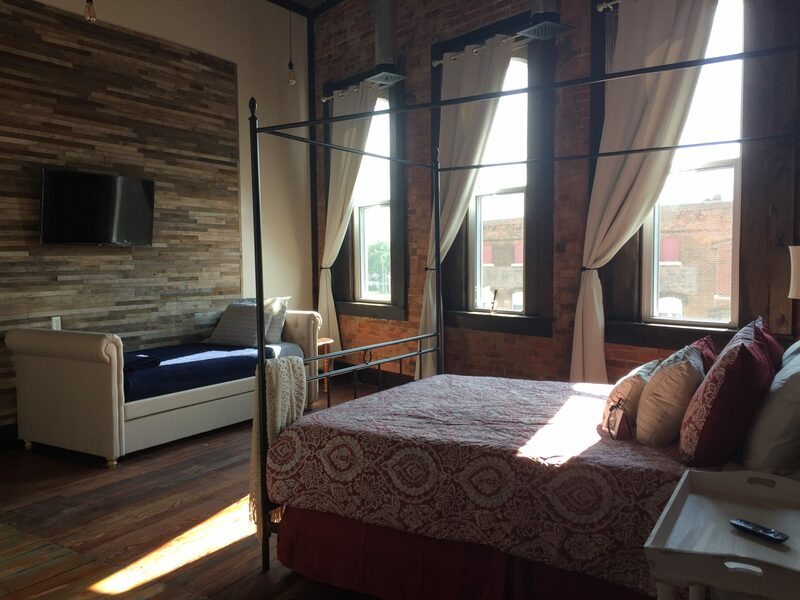 Great place for a couple getaway, or a different place to stay when traveling I-70. Breakfast choices were great, too." 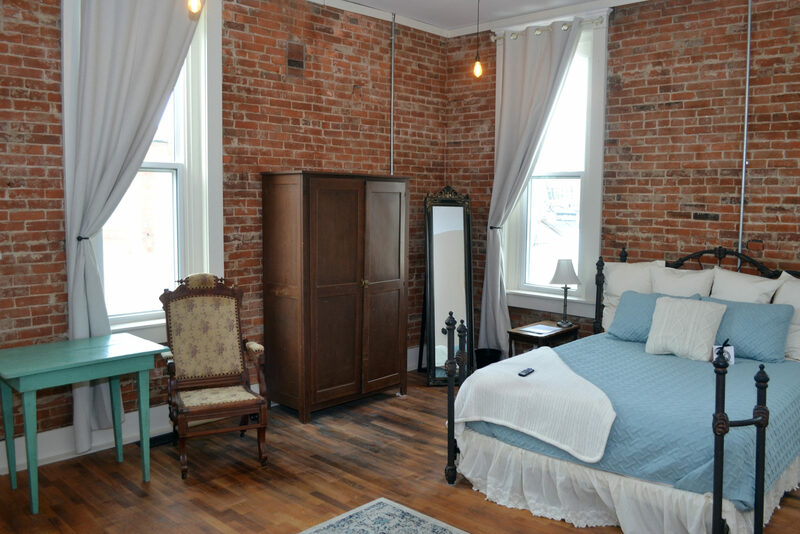 "Wonderfully renovated historic building in a fun little town. Kim was an impeccable hostess! Definitely worth a diversion from Effingham. We’ll be back." "We recently had some friends come into town to stay for a weekend. 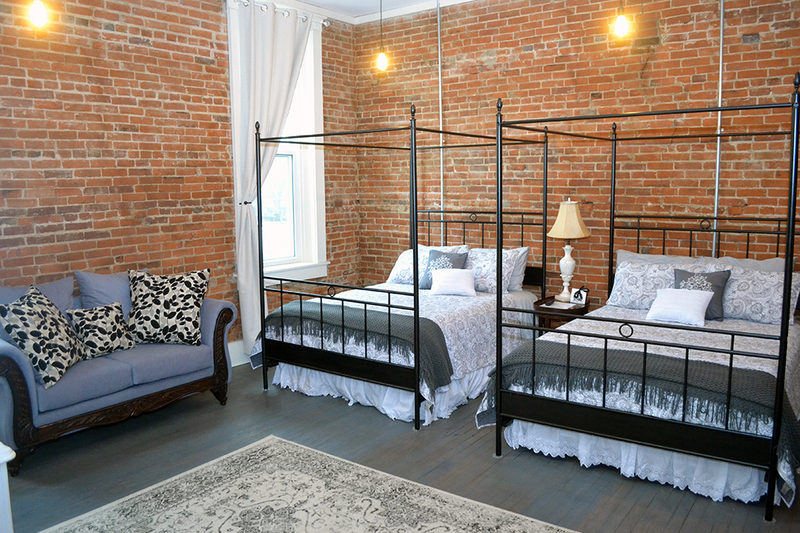 We used that opportunity to stay at the newly renovated 1890 Sleepover in downtown Casey. This property is excellent! 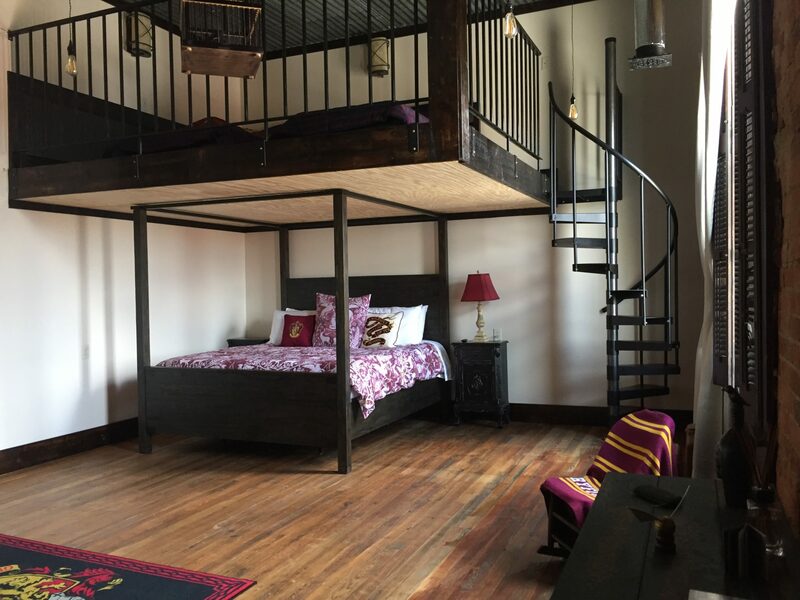 They have meticulously renovated their rooms and each one is unique. 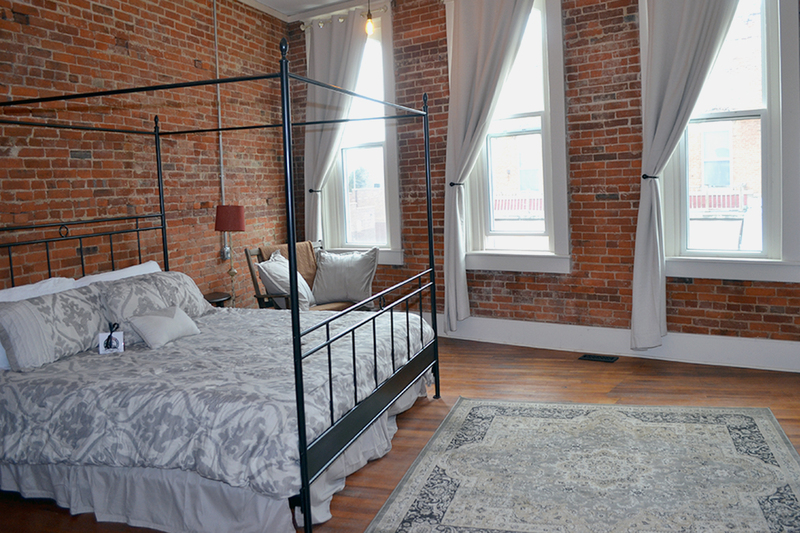 The building has original exposed brick walls, 12-foot ceilings, and beautiful hardwood floors. 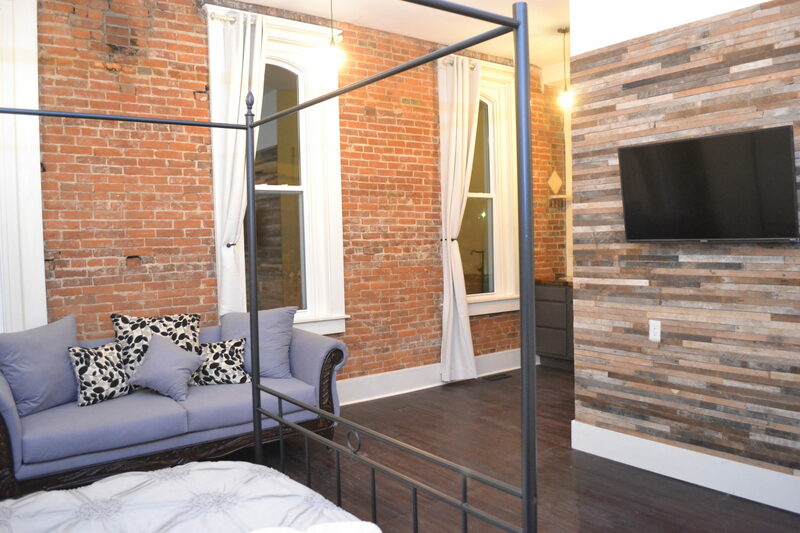 Each room is well appointed and has a small kitchenette and a very accommodating bathroom with subway tile shower and turn of the century accents. Just off Main St. this hotel is a 1-2 minute walk to the several World’s Largest items on Main Street in Casey. If you’re coming to Casey this is the place to stay!" 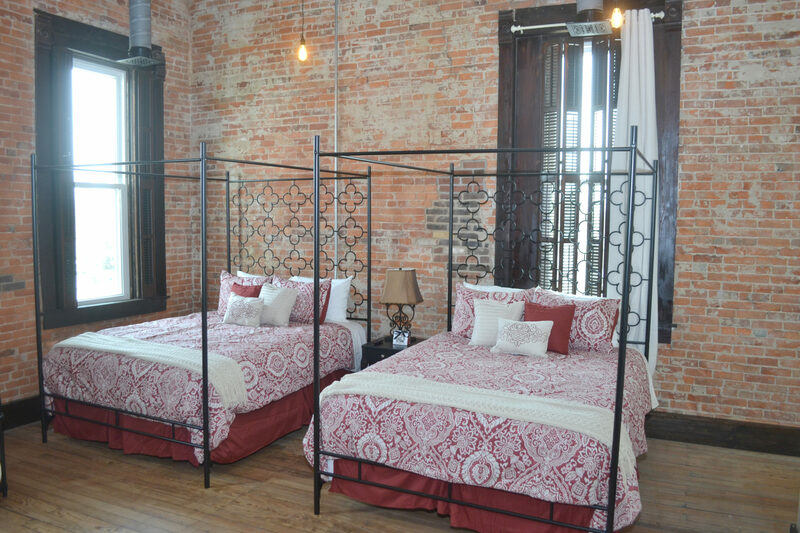 Accommodations in Casey, Illinois. Hotel. Place to stay. Accommodations / Hotel near Eastern Illinois University, Charleston. Big Things in a Small Town. Accommodations / Hotel near Indiana State University, Terre Haute. Hotel.